The city's top health official has issued an extreme cold warning. After a week-long weather roller coaster, high winds will continue Friday night in the GTA. 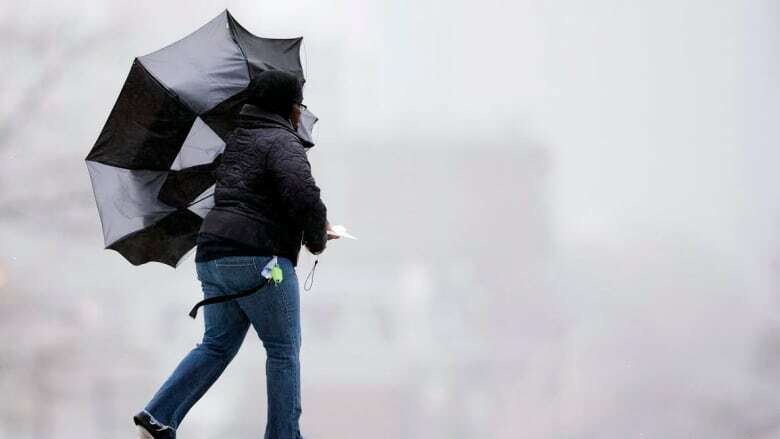 Environment Canada issued a special weather statement Friday, warning that "strong west to southwest winds with gusts of up to 80 km/h" will start to slowly diminish later this evening. "These winds are strong enough to cause minor tree damage and a few local power outages," said the statement, which was first issued early Friday morning and covers much of southern Ontario. And just to make things more interesting, there's an extreme cold warning in place and some snow is in the forecast, as well. Scattered flurries plus strong winds could mean blowing snow and reduced visibility, the agency said. Flurries are expected Friday night, ending around midnight. Temperatures will hit a low of –10 C, though the wind will make it feel more like –20. Shortly before 9 a.m., city staff issued an extreme cold warning and advised residents to be especially mindful of vulnerable people. The weekend will also be quite cold, with highs of –3 C and –5 C on Saturday and Sunday, respectively.